When it comes to choosing lenses, there are two main schools of thought. The first is to use a minimum number of zoom lenses with a large range of focal lengths. The second is to use more lenses with a smaller range of focal lengths. As a travel photographer, I’ve worked hard to minimize my gear. I would love to own a dozen lenses, I just don’t want to carry them all. It’s rare to find more than three lenses in my bag. I’ve followed that first school of thought for years, and it’s served me well. Whatever you photograph, there inevitably will come a time when you want a specialist lens for a specific subject. I’ve experienced this a couple of times. In a past life as a wedding photographer, I owned a macro lens that I bought exclusively for photographing details such as rings. My other lenses weren’t up to the task, so I added it to my kit for just a few detail images per wedding. Fast forward a few years, and I discovered a love for astrophotography. I found once again that my landscape lenses weren’t up to the task. Astrophotography is a highly specialized subject and one that calls for the right gear. I was getting some reasonable night sky photos with my 16-35mm f/4 lens, but I wanted something wider and faster. I needed another specialist lens. My search for a lens that was wider than 16mm and faster than f/4 led me to a few lenses that I would’ve loved to add to my kit. The problem was that they were all either too large or too expensive. I didn’t want or need another wide-angle zoom lens. Then I found the Samyang (also branded as Rokinon) 14mm f/2.8 lens. 14mm gives you a 115° view, which is plenty wide enough to capture the night sky. The maximum aperture of f/2.8 is fast enough to capture insane amounts of light in the stars. Being a prime lens, it’s lighter than most wide-angle zoom lenses. As if that wasn’t enough, it’s cheap. At around 550g, this lens isn’t going to add a lot of extra weight to your camera bag. It’s made mainly of plastic, but build quality is surprisingly good for the price. It isn’t the highest quality astrophotography lens on the market, but for a budget lens, it’s good enough. Image sharpness is about what you would expect for a budget lens. It’s sufficiently sharp for astrophotography, but personally, I wouldn’t use it for landscape photography during daylight hours. This lens also has quite a significant distortion, but that’s unavoidable with such a wide lens. Lightroom’s lens correction profile does a pretty good job of correcting it. One thing you need to consider before buying this lens that it’s manual-focus only. It also uses a manual aperture ring. This has never been a problem for me, as I’ve found auto-focus to be virtually useless when photographing the stars. The focus ring has a nice smooth feel to it and a large throw, making focusing incredibly accurate. You’ll also need to consider that you can’t use filters with this lens due to the large front element. Again, this shouldn’t be an issue if you’re using it for astrophotography, because you won’t be needing filters. If you’re looking for a wide lens on a budget, you should definitely consider the Samyang 14mm f/2.8 lens. For a great astrophotography lens that won’t break the bank, it’s hard to beat. It may not be the best option if you’re planning to sell large prints, but the image quality will be sufficient for most photographers. Other uses for this lens could be architecture and real estate interiors photography. You could definitely photograph landscapes with it, but the image softness could be an issue. If you want a higher quality, sharper lens, you’ll need to increase your budget a fair bit. It’s available with mounts for Canon, Nikon, Sony, and Pentax, and compatible with both full frame and cropped sensors. All are currently available on Amazon here for $279USD at the time of publishing this review. 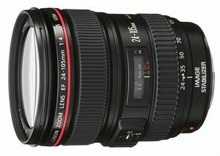 Have you used the Samyang 14mm f/2.8 lens? What’s your go-to lens for astrophotography?